Whenever agriculture features in the news these days, health scares always appear to top the list – from E-coli outbreaks in Europe or the U.S. to concerns about the origins of products, genetically modified crops and a growing demand for organic produce. So it is not surprising that consumer trust has been declining, much to the frustration of a farming industry dedicated to providing the best quality products at a fair price. Luckily Pavo is coming up with solutions for consumers and farmers, driven by its determination to bring producers, suppliers, growers, and distributors together and ensure the delivery of the best possible outcome for everyone. The company is leveraging the cutting edge technologies of the Internet of Things and blockchain and also the vast experience it has acquired in crop cultivation to create a state-of-the-art and cost-efficient ecosystem. Pavo’s IoT blockchain software platform is already being deployed at three farms in California. The platform is facilitating an increase in process automation and a corresponding reduction in costs, improvements in crop yield and also optimization of sales, distribution, and supply planning. And that is not all: thanks to the transparency of the company’s blockchain-driven IoT software platform, Pavo is restoring trust, a commodity in short supply these days. Dr. Darren Detwiler, Assistant Dean at Northeastern University’s College of Professional Studies, and David Doll, University of California farm advisor and pomologist (researcher on the development and cultivation of fruit) discussed agricultural concerns and trust issues in a Pavo-hosted webinar. I see blockchain as a tool that can restore trust. We’re in a day of age where trust has been lost in many areas, and people are asking questions… I think that, as consumers, we’ve grown farther and farther away from the source of our food. People are seeking validation on the origins of the food they acquire, and this is an area where blockchain can help. Thanks to this technology, provenance is no longer issue, as consumers can now trace the entire life cycle of a product. People want wine from certain regions of California, people want California walnuts or almonds, or pecans. California is such an active source of so many foods. Due to the strict regulations established by the state, the region has become a sort of guarantee of quality and sustainability for a lot of people, giving weight to the ‘grown in California’ stickers or the teeny license plates that say ‘California native’ on the products you see in the store. I think consensus and collaboration are probably going to be more important tools than blockchain itself, but we need to have blockchain to bring us the current technological opportunities in terms of documentation and information. If you would like to see more of the Pavo-hosted webinar, just click here. You can also learn more about Pavo at pavocoin.com. Do you think Pavo can help restore trust and efficiency to the agriculture industry? Let us know in the comments below. 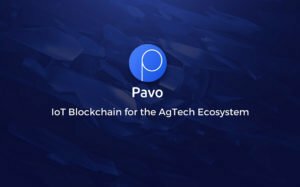 The post Agricultural Specialists Consider How Pavo’s Use of Technology Can Restore Both Trust and Efficiency appeared first on Bitcoinist.com.